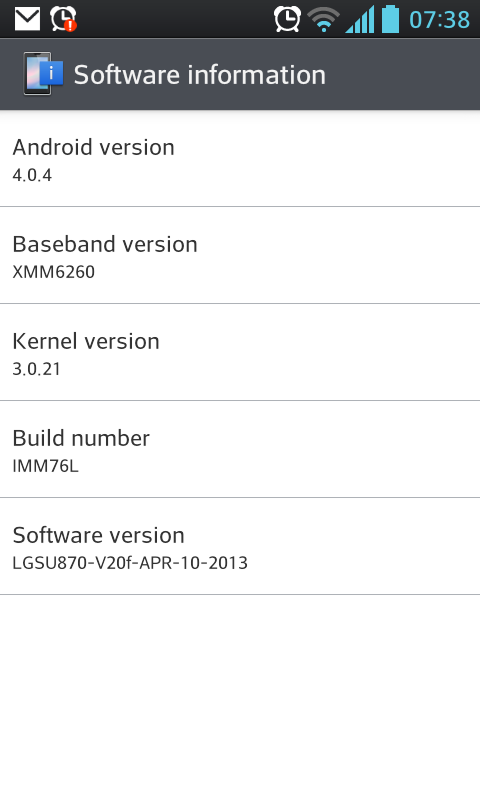 New firmware update for LG Optimus 3D Max today! Firstly it's over-the-air 30M wireless via my home WiFi which is nice vs a USB tethered update. Took about 15min including the application optimizations. No issues encountered. No idea at this moment what the update does more than what I had since the last one. It is not JellyBean (rather overly optimistic if you are expecting that) but it is still gratifying none the less that LG has not forgotten this phone entirely.